How well do you know yourself? If you aren’t careful, you can end up living a life that is out of alignment with who you are. Do you want to lie on your deathbed, looking back at your life and wondering what went wrong and why you didn’t listen to your heart? And how do you expect to ever get what you want from life if you don’t know yourself? The pressures of society can be so overwhelming that you may have been following the crowd for most of your life instead of listening to your intuition. It’s the most convenient option, as it’s the path of least resistance. But is that the right path for you? Is it the path that will lead you to become the best version of yourself and get what you want from life? Or will it cause you to remain a shadow of what you could have been? In this in-depth article I’ll provide you with 10 tips to help you get to know yourself better. I hope that by the end of this article you’ll have a better understanding of who you really are and will be equipped to design a life that reflects your true self. Now, let’s get started with the 10 tips. 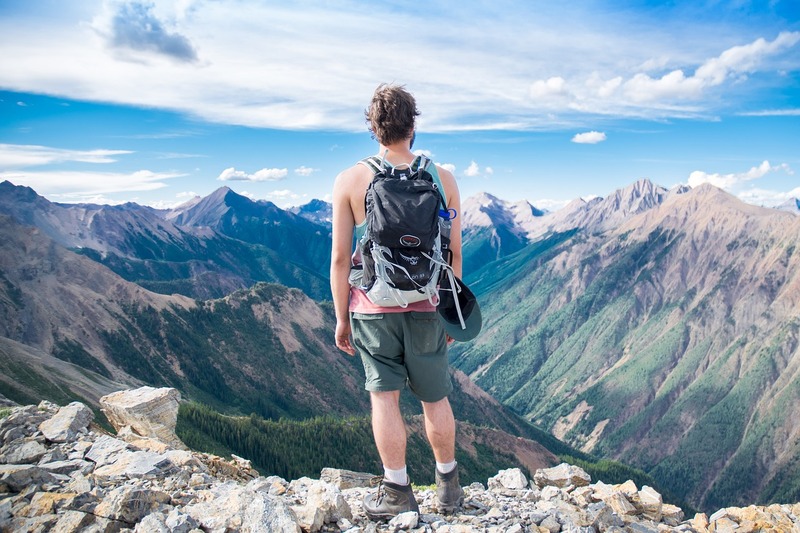 People frequently struggle to find their life purpose, often because they’re too distracted to do so. They spend too much time on social media or binge-watching shows on Netflix. Or they play too many video games or overindulge in alcohol or social events. Today’s world has become an enormous amusement park that distracts us from our purpose. We can’t stand spending time alone. Even when we do, the vast majority of our thoughts are nothing more than an echo of our social conditioning. They’re what friends, family, society, and the media expect us to do and want us to believe. Because we often try to get what we think we want, we don’t get what we really want. Most people haven’t learned to embrace silence and look inside themselves with unflinching honesty. That is the one of the reason people can’t seem to find their passions. What would you do if you had no relatives and your life was devoid of social pressure? What goal would you set if you were guaranteed to achieve anything you wanted? Imagine how you would feel if you had already accomplished all of your dreams. What would you do then? Finding your passion is a process that often requires time. If someone were to ask me, “How do I find out what I’m supposed to do here?”, I would start by suggesting that they limit television and reduce their exposure to the outside world as much as possible. Going on a retreat for a few days would be a good idea. That would be a great way to start distancing yourself from the life that the media and those around you try to sell you. Only you know what you want to do with your life. Should you get married? Should you take that job? Should you change your career? Only you can answer these questions. Once you know yourself better, you’ll have an easier answering these questions. 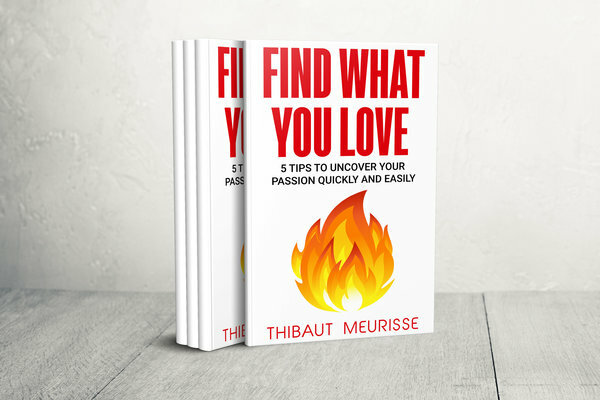 To learn more about how you can find your passion, check out my article How to Find Your Passion. To know yourself it is essential that you know your core values. What are the most important things to you in this world? What values resonate with you? Do you have a strong desire to contribute to the world? Do you want to keep learning for the rest of your life? Are you family-oriented? Do you love freedom? Once you know your core values, you’ll make better decisions, and getting what you want will become easier. Does this decision allow me to create more freedom in my life? Does it make me feel like I’m contributing and making a difference in the world? Does it offer opportunities to grow and learn new things? When something goes against my values, I reject it. What about you? Do you know yourself? Do you know what matters the most to you? If you’d like to determine your core values, check out my article on how to identify them. For a list of core values click on the following link: http://jamesclear.com/core-values. Knowing yourself also means knowing what you’re good at. Do you know what you do well? How can you contribute to the world in a way that nobody else can? If you struggle to find your strengths, consider getting feedback from your family, friends, or colleagues. When we’re in our zone of genius, things are so effortless that we can easily overlook our strengths. We fail to realize that it doesn’t come that easily for other people. If you’re continually struggling at work, it’s often a sign that you’re spending too much time on things you don’t do well. You should focus on your strengths instead. Sure, you might need to work on your weaknesses as well, but overdo it. You wouldn’t want to miss an opportunity to excel at what you do well because that’s the best gift you can give to the world. On the other hand, the writing process for my first book was enjoyable. It didn’t feel like a struggle at all. In fact, it was almost effortless. Not only that but, based on the feedback I received, I was good at it. As a result, I went on to write more books and articles. Although I’m putting a lot of work into it, it doesn’t feel like work at all. As Confucius said, “Choose a job you love, and you will never have to work a day in your life.” So if you haven’t found something you’re passionate about yet, remember what Steve Jobs said and never stop searching. The bottom line is that, if work is a struggle for you, make sure that you’re leveraging your strengths appropriately. Take some time to identify your strengths. I promise you won’t regret it. Do you know your personality type? Though everyone is unique, there are some common traits shared by groups of people. Being aware of them will help you design your ideal life and get what you want. If you’re an introvert, you’ll design your life in a different way than an extrovert would. Your ideal work environment wouldn’t be the same. The career you choose to follow might differ as well. As an introvert, I’ve decided to design a life that allows me to spend a lot of time alone and I’m happy with that. Aside from differing personality types, we all have different learning styles as well. The VARK model identifies four primary types of learners: visual, auditory, reading/writing, and kinesthetic. If you’re an auditory learner, you’ll remember information better after hearing or reciting it. If you’re a kinesthetic learner, you’ll learn better by participating in hands-on activities. In short, you’ll learn by doing. If you’re a visual learner, you’ll learn better if you can visualize the relationships between ideas. You’ll learn better by creating mind maps and charts, for instance. If you’re a reading/writing learner, you’ll learn more by (guess what?!) reading and writing. Do you know what type of learner you are? Once you know how you learn, you’ll find it significantly easier to learn and memorize things. I’ve noticed that mind maps helped me a lot when it came to organizing my thoughts and remembering what I learn. I’ve even used them to outline my books. I like to learn by doing things as well. Knowing your personality traits is essential to creating a life that’s in alignment with your authentic self. I remember when I discover what introversion was. It was an eye-opener for me and led me to make different choices in my life. It also pushed me to embrace a different path that I may not have otherwise chosen. Tip: If you believe the results you get from a personality test don’t reflect who you are, share them with your family and friends. Their reactions might be helpful. They might say, “That’s so you!” We’re often blind to our personality traits, strengths, and weaknesses. When in doubt, retake the test. Finally, remember that human beings are intricate. These tests are not an exact science so don’t let them define you. After all, what defines you confines you! Below is a list of renowned personality tests that will help you know yourself better. Make sure you check them out. DiSC Personality test. Take the free test here. Introvert / extrovert tests. Find out whether you’re an introvert or an extrovert by taking the free test here. MBTI test. Take the free test here to find out which of the 16 personality types you are. VARK test. Find out what kind of learner you are by taking the free test here. The Big Five Personality Test. The big five personality traits include openness to experience, conscientiousness, extraversion, agreeableness, and neuroticism. Take the free test here to find out more about your personality. Do you have a growth mindset or a fixed mindset? Do you even know the difference between the two? Unfortunately, many of us have a fixed mindset. We believe that we have little room to grow, but this couldn’t be further from the truth. Our potential for growth is extraordinary. Do you believe that you can grow? Do you think you can learn the skills you need to achieve your goals and dreams? If not, why is that? What is limiting you and is it true? Feel threatened by the success of others. Persist in the face of obstacles. See effort as a path to mastery. So which mindset do you have? Which one do you think will help you get what you want from life? Our mind is the most powerful tool ever created. It’s a learning machine that has an incredible ability to recognize and internalize patterns. You’d be surprised to learn that some of the world’s best chess players aren’t smarter than you, nor do they have a superior memory. They’ve merely internalized a plethora of patterns through thousands of hours of practice. You could do the same thing if you wanted to. Never underestimate your ability to learn and grow. Continuous learning is the key to achieve your goals and get what you want. Real changes come when you realize that you have a supercomputer within you. Unfortunately, this supercomputer doesn’t come with an instruction manual, and many of us are clueless on how to use it. Have you ever taken a class that explains how your mind works? I doubt it. That’s probably what we need to work on in the 21st century: designing a detailed manual on how to leverage the power of our mind and distribute it to as many schools and households as possible. Think about it, when you buy a high-tech product, doesn’t it come with a manual that gives a detailed explanation of how to use it? Well, it should be the same for our mind. Maybe that’s what I should work on next. If you want to get unstuck and get what you really want from life, the first step is to embrace a growth mindset, stop blaming people and circumstances, and take 100% responsibility for everything that happens in your life. You always have a choice, whether it means changing what you can control or accepting the things that you can’t change. Do You Need Talent to Be Successful? For hundreds of years, it was thought that our brains were fixed and incapable of change. We now know that this is not the case. In fact, the brain is surprisingly malleable! Fauna Singh ran a marathon at over 100-years-old. Anna Mary Robertson Moses didn’t start painting until she was 76. In 2006, one of her paintings sold for $1.2 million. Nola Ochs, Model Richardson, and Leo Plass got their college degrees at 95, 90, and 99. Nola started writing her first book, Nola Remembers, when she was 100. Helen Klein began running when she was 55-years- old. Klein wound up running more than 60 marathons and 140 ultra-marathons. Julia Child wrote her first cookbook at 50 and went on to become a celebrity chef. Colonel Sanders was 62 when he franchised Kentucky Fried Chicken in 1952. It can recover the machinery that controls learning. It can restore the processes that are known to regulate growth and healing. It can change its chemistry to be like that of a young brain. It can recover its ability to operate in a noisy environment. It can recover its power of prediction. It can restore its ability to remember. It can re-strengthen its immune response. Not only can we do more than we think, but we also have the power to retrain and even repair our brain. Barbara Arrowsmith-Young is a great example. As a child with learning disabilities, she couldn’t tell time, had spatial problems, couldn’t read maps, and would get lost in a friend’s house. She was also unable to make sense of concepts, ideas, or relationships (like cause and effect). She couldn’t understand irony, either. However, inspired by an experiment done on rats, she designed various exercises to train her brain and was able to recover fully! You can check out her inspiring TED talk here. Articles: Are You Using Your Age as an Excuse? To know yourself you must become aware of the assumptions that rule your life. What are your “shoulds”? What are you convinced you should do? Regardless of what society’s telling you, “shoulds” don’t exist. “Shoulds” are just standards that you’ve imposed on yourself without question. They narrow your possibilities and leave you feeling guilty when you fail to live by them. Start looking at the situations in which you “should” yourself. Now, try using the word “could” instead. While “should” implies a moral judgment, “could” allows you freedom of choice. It enables you to decide for yourself regarding what feels right and what doesn’t. What about you? How are you “shoulding” yourself? How would your life change if you stopped judging everything you do and gave yourself the gift of personal choice? And how would that help you get what you want? To learn more read my article Stop Pretending to Be Someone You Are Not. Knowing what you know now, would you still take your current job, date your current partner, or start your business? Or would you take a different path that’s more in sync with what you want? The idea is to look at your situation objectively while forgetting about your past investments in terms of time, money, or emotions. By doing so you’ll get know yourself better and clarify what you really want. Knowing what I know now, would I still launch that new product? If your answer is no, you’d need to discontinue that product. Knowing what I know now, would I be in this relationship? If your answer is no, you’d need to muster up the courage to end it. Knowing what I know now, would I take my current job? If your answer is no, you’d need to find a new job. Knowing what I know now, should I stay the same? If the answer is no, you’d need to start making changes in your life. What about you? Knowing what you know now, what are you going to start doing differently today? To learn more check out my article Stop Pretending, Start Living. One of the best ways to get to know yourself better is through self-reflection. You can do this through journaling or meditation, for instance. Journaling allows you to record your thoughts and feelings. Over time, it helps you uncover thought patterns and repetitive behaviors that were previously unknown. Through journaling, you’ll also discover what you like to do most and what emotions you experience on a regular basis. Self-reflection practices will give you great insights and help you live a life that’s in alignment with who you are deep down. You don’t want to wake up one day and realize that you’re living someone else’s life! It’s your life, so take ownership of it before it’s too late! Journaling in the evening is a great way to reflect on what happened during the day. How did you feel? What went well? What went wrong? What did you learn? What could you have done better? What new behavior will you implement based on what you’ve learned? You can set aside 5-10 minutes at the end of the day to write new entries in your journal using the questions mentioned above. What new behavior will I adopt? Of course, feel free to write whatever is relevant to you. You can ask different questions if you’d like. We all have self-sabotaging behaviors that prevent us from living the life we want. Many limiting beliefs currently stand in your way and prevent you from getting what you want. Maybe you believe that you aren’t worthy enough, that you aren’t smart enough to go after your dreams, or that money is evil. As a result, you may experience negative emotions. As you take time to journal on a regular basis, you’ll know yourself better. You’ll start to identify specific thought patterns. You may realize that certain events or thoughts trigger negative emotions. For instance, you may be worrying about the future all the time. Or you may be experiencing feelings of jealousy toward a friend or relative. When you take the time to observe and record your emotions, you’ll be able to figure out which thoughts or events fuel your negative emotions. You can then start replacing old beliefs with new, empowering ones that will help you design your ideal life and get what you want. You can speed up the process by writing down your limiting belief as well as its replacement. I’m not smart enough → I’m as capable as anyone else and I can always learn more, grow more, and improve. I’m not confident → I can sometimes lack confidence, but I do have it in certain situations. Imagine that your logical mind tells you that you should take a specific job offer. It’s a well-paying job in a respected company with opportunities for career advancement. Everybody around you encourages you to accept the offer. From a logical perspective that’s an absolute no-brainer. Even so, there’s a little voice inside your head that tells you something isn’t right, although you can’t pinpoint what it is. Naturally, you dismiss it because it just doesn’t make any sense. Instead, you go with your logical mind. A few months later, you claim your job is fabulous, but you know deep down that you’re not enjoying it. Worse yet, you feel empty inside. Does any of this sound familiar? Maybe it hasn’t happened with a job, but there’s a good chance you’ve experienced it with something else. That little voice in your head is your intuition; one of the most potent tools that exists in this world. Most people dismiss their intuition as irrelevant, and many are so distracted that they can’t even hear their inner voice. To know yourself it is important that you learn to listen to your intuition. People think that they’re logical, but human beings are not rational. We are, first and foremost, emotional beings. If I were to choose between listening to my intuition and relying on my logical mind, I would go with the former every time. When something makes perfect sense from a logical perspective but doesn’t seem quite right to you, you might want to consider going with your gut. Relying on your intuition for major life decisions can be scary. If so, you can start by listening to your intuition regarding minor choices and see how things turn out. As you learn to listen to your intuition, you’ll begin to trust it more and more. I hope this article helped you get to know yourself better and clarify what you want from life. If you benefited from this article in any way, please share it with friends, relatives, or anyone else who could benefit from it. That would mean so much to me and would hopefully help more people design their ideal life. Finally, I’d love to hear from you in the comments section. Leave a comment below and let me know what you’ll do today to get to know yourself better and start living a life that’s in alignment with the real you. Hello, great article the best part of the article I agree with is regarding core values. I believe everyone already has the reasons, motivations or values to push themselves and become successful the only thing we do ourselves is activate them by others or someone else activates them for us. So the thing here is we have everything we need to succeed we only need to figure out what our values are and that will motivates us to move forward. Having a growth mindset is key.